We invite you to attend the seventh season of UPG Concert Series held on the St. Peter's Campus. We have a wide variety of concerts planned. This season of music promises to be exciting. All concerts are free. A freewill offering will be received to support the Concert series. The Valley Community Orchestra was founded in October 2015. This fine group of musicians comes from all walks of life and are all ages. They are committed to growing in their abilities and sharing their talents with the wider community. They are thrilled to be playing at St. Peter's and hope you enjoy the program. 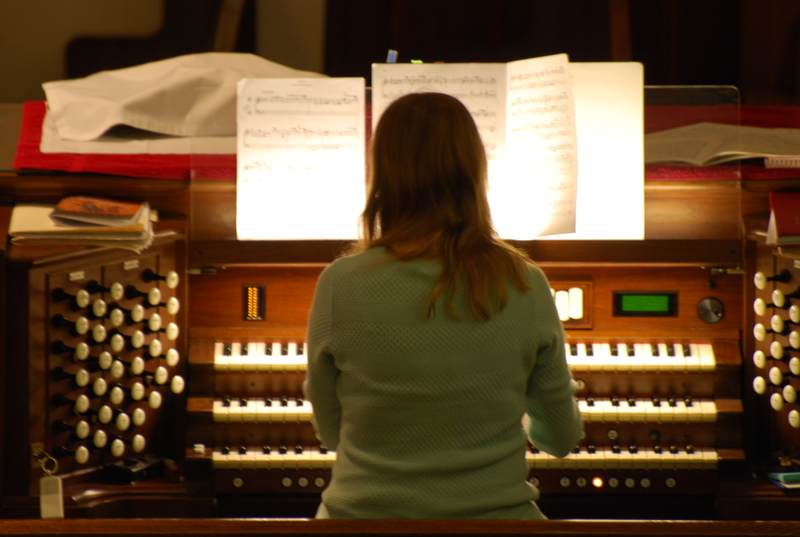 Organists from the Lehigh Vslley Chapter of the American Guild of Organists will preform a wide array of their favotite works from the organ repertoire. Come and enjoy an afternoon of great organ music. Marisa Deshler performs some favorites fro the Classical and Popular organ repertoire, This year's concert features some beautiful arrangements and transcriptions for organ, including Fox's transcription of Bach's "Come Sweetest Death", Dupre's "Cortege et Litanie" . Lehigh sudents will perform a wide variety of music ranging from Classical to Jazz. This concert showcases the many talents of our local Lehigh students. You don't want to miss this concert. Sunday, May 19, 2019 at 3 PM - "Music Among Friends"
Join us for a fun afternoon of music by some of the Lehigh Valley's top musicians. Under the direction of Lucille Kincaid, singers and instrumentalists will perform alone and together in a wide variety of styles, including Classical, Sacred and Broadway.